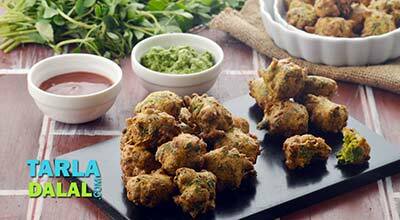 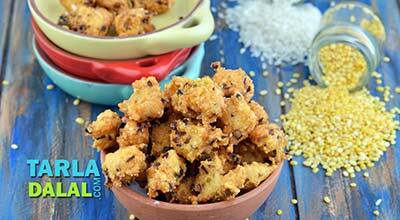 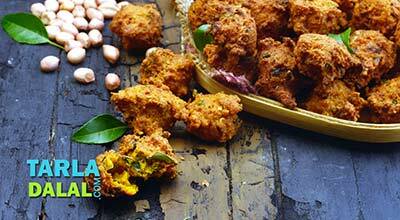 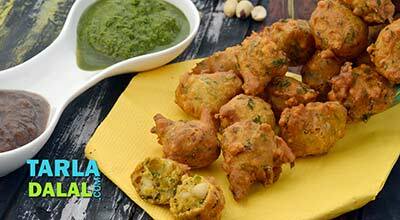 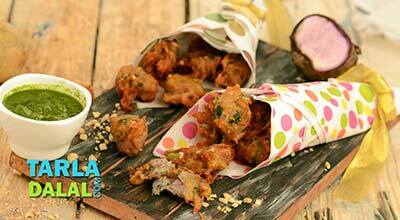 You would have tried pakodas with loads of ingredients ranging from cashew and peanuts to onion and kand. 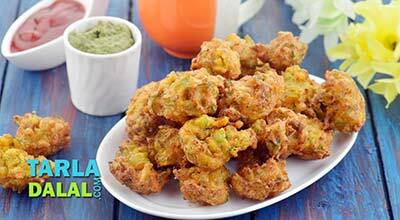 But, have you ever dared to add grated pumpkin to the pakoda mix? 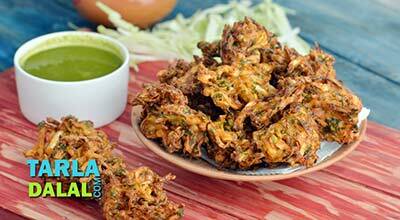 Try it right away and get ready to be amazed. 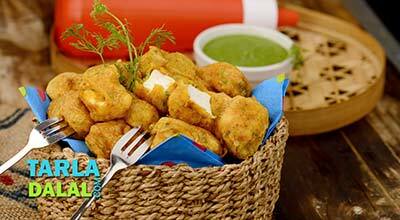 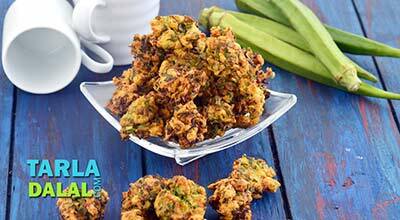 Yes, the Pumpkin Pakoda is a totally awesome snack, ideal to have with hot tea or coffee in the evening. 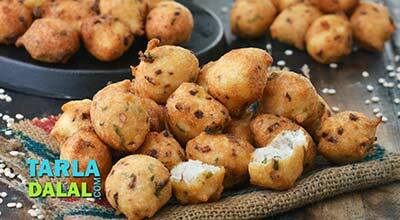 Sprinkle chaat masala evenly over the pakoras and toss gently.